NULL encryption | Richard M. Hicks Consulting, Inc.
With the release of Windows 10, many organizations who chose to skip Windows 8 are now beginning to deploy this new client operating systemn. To maximize investment in Windows 10, DirectAccess can be leveraged to provide employees with seamless and transparent, always on, secure remote corporate network connectivity. DirectAccess has been around for many years, and today the most popular DirectAccess client is Windows 7. However, Windows 10 provides better support for DirectAccess features that enhance performance and availability, while at the same making it easier to implement and support. Windows 10 opens up many new and compelling deployment scenarios for small businesses to large scale enterprises. Without a doubt the most important DirectAccess feature Windows 10 supports is automatic entry point selection and transparent failover for multisite deployments. DirectAccess multisite deployment provides essential geographic redundancy for organizations with multiple physical locations. Windows 7 has only minimal support for multisite deployment, with clients required to be assigned to a single entry point. Windows 10 clients are aware of all entry points and will intelligently select the closest entry point when establishing a DirectAccess connection. If the entry point becomes unavailable during the connection, Windows 10 clients will transparently connect to another entry point automatically. Windows 10, like Windows 8 before it, includes support for IP-HTTPS null encryption. This feature greatly improves scalability on the DirectAccess server by eliminating the needless double encryption that Windows 7 clients perform. This reduces resource consumption on the server and enables the server to support many more DirectAccess client connections. Many will also appreciate Windows 10’s built-in DirectAccess connectivity status indicator. No longer will administrators have to deploy, manage, and maintain additional software to provide this essential functionality. To access DirectAccess information in Windows 10, press Window Key + I, click Network & Internet, and then click the DirectAccess tab. Here you will find vital details about DirectAccess configuration and status such as connection state, currently connected entry point, and a site selection drop down box (if manual site selection is enabled by an administrator). In addition you can generate and collect log information for troubleshooting purposes. Anyone tasked with troubleshooting DirectAccess configuration and connectivity issues will appreciate the native PowerShell integration with DirectAccess in Windows 10. With just a few commands a wealth of information about DirectAccess configuration and connectivity status can be obtained. Need to quickly determine if a Windows 10 client has been provisioned for DirectAccess successfully? Has the Windows 10 client connected successfully? If not, why? 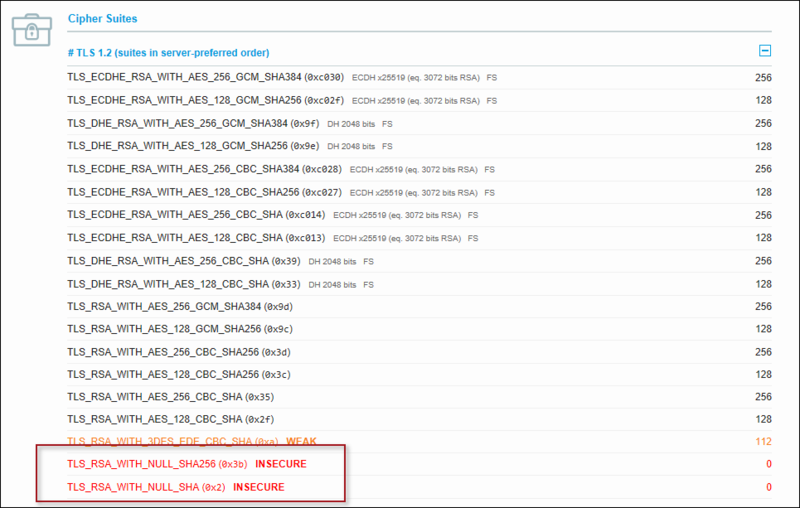 Need to identify the Network Location Server (NLS) the client is configured to use? Looking for DirectAccess multisite entry point details and connection status? Finally, when Windows 10 (and Windows 8.x) clients are supported exclusively a Public Key Infrastructure (PKI) is optional. 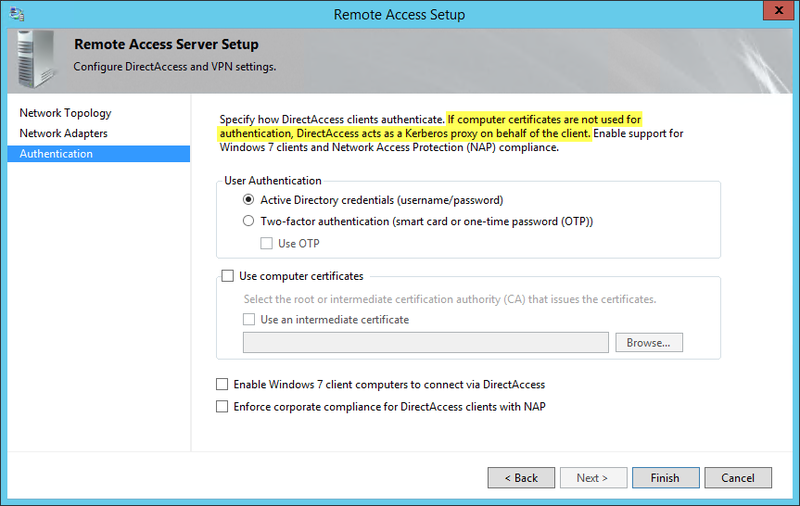 Here instead the Kerberos Proxy is leveraged to perform DirectAccess client authentication, which reduces infrastructure requirements by eliminating the need for a PKI. However, this configuration offers only limited support for DirectAccess features. For example, a PKI is still required if any Windows 7 clients are deployed. Also, PKI is required to support features such as one-time password (OTP) authentication, Microsoft Network Access Protection (NAP) integration, load balancing (integrated or external), force tunneling, and multisite configuration. For optimum security and maximum deployment flexibility it is recommended that PKI be used to manage certificates for all DirectAccess deployments including those supporting only Windows 8.x and Windows 10 clients. 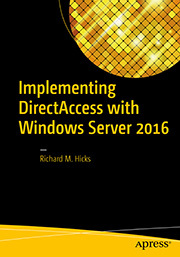 DirectAccess and Windows 10 are much better together. Windows 10 provides full support for the geographic load balancing features of DirectAccess and at the same time offers improved scalability and performance. Windows 10 also makes supporting and troubleshooting DirectAccess clients much easier. And for smaller deployments, Windows 10 can lower the barrier to entry for organizations considering DirectAccess by eliminating the need for a full PKI deployment. Have a question about DirectAccess? Fill out the form below and I’ll get in touch with you. Another critical flaw affecting Transport Layer Security (TLS) was discovered recently that could put some organizations at risk. The “Logjam” attack exploits a weakness in how the Diffie-Hellman key exchange is used. 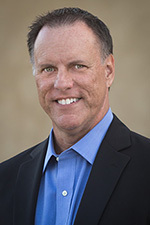 An attacker, acting as a man-in-the-middle, can potentially force a downgrade of the TLS connection, resulting in the use of weak cryptography. The Qualys SSL Labs SSL Server Test has been updated to identify this vulnerability. When testing a DirectAccess server you will receive the following warning message. DirectAccess leverages SSL and TLS as part of the IP-HTTPS IPv6 transition protocol, which is used to tunnel IPv6 packets over the IPv4 Internet. These IPv6 packets are encrypted using IPsec. If an attacker were to break the SSL/TLS connection they would gain nothing. Because of this, a dedicated DirectAccess server is unaffected by the Logjam attack. Mitigating it would provide no additional protection, so you can safely ignore the warning about weak DH key exchange parameters being supported. 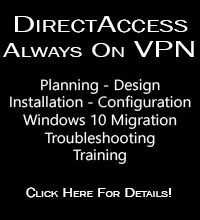 However, if DirectAccess has been configured to use one-time password (OTP) authentication, the client-based VPN role has been enabled and configured, or the Web Application Proxy (WAP) role has been installed on the DirectAccess server, then the Logjam attack represents a serious risk and should be mitigated. Also, in some cases it may be desirable to make this change on a dedicated DirectAccess server just to prevent an audit finding and avoid having to explain why the DirectAccess workload would be unaffected by this attack. To mitigate this vulnerability it will be necessary to remove support for cipher suites that use the Diffie-Hellman key exchange protocol on the DirectAccess server. This is accomplished by opening the Local Group Policy Editor (gpedit.msc) on the DirectAccess server and expanding Computer Configuration, Administrative Templates, and Network. Select SSL Configuration Settings and then double-click SSL Cipher Suite Order. Select Enabled and then replace the default list of cipher suites with the following list. Once complete, restart the DirectAccess server. The Qualys SSL Labs server test should no longer give a warning about the use of weak Diffie-Hellman keys. In addition, this reordering and optimization of cipher suites will also improve the protocol support and key exchange scores, as shown here. As a reminder, and overall rating of “F” is expected when testing a dedicated DirectAccess server. By design, DirectAccess provides support for null cipher suites to improve scalability and performance for Windows 8.x and later DirectAccess clients. More details here. You can confirm this finding by using the Qualys SSL Labs SSL Server Test site. You’ll notice that the test results for a Windows Server 2016 DirectAccess server indicate an overall rating of “F” and a score of “0” for the cipher strength. Reviewing the details of the test results shows that the following two NULL cipher suites are indeed supported, highlighted below in red. Note: This doesn’t apply when the client-based VPN or Web Application Proxy (WAP) roles are also installed on the DirectAccess server, or if one-time password (OTP) authentication is enabled. More details here. Typically this would be remedied by disabling support for NULL cipher suites using the common SSL and TLS hardening techniques. However, DirectAccess IP-HTTPS is unique in this scenario and the support for NULL cipher suites is by design, so employing traditional SSL and TLS security hardening techniques doesn’t apply here. This is because DirectAccess IP-HTTPS is only used for IPv6 tunneling purposes, enabling the DirectAccess client that communicates exclusively using IPv6 to connect to the DirectAccess server over the public IPv4 Internet. IPv6 DirectAccess traffic from the client to the server is encrypted with IPsec, so the need for SSL/TLS encryption is not required, and in fact is not desirable for scalability and performance reasons. No unencrypted traffic (with the exception of ICMP) is sent over this SSL/TLS connection. If a security audit flags support for insecure cipher suites on your Windows Server 2012/R2 DirectAccess server, you can safely ignore it.